What's the difference between electrical and electronics engineering? During most electrical engineering degrees, students will be given the chance to specialize in a number of related fields. Common electrical engineering degree specializations include energy generation and transmission, magnetostatics and electrostatics (types of electric charge), and electrical installations (such as heating and lighting systems). 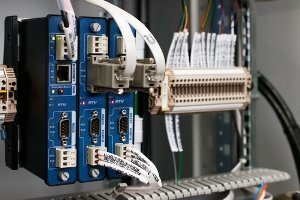 Meanwhile electronics engineering degree specializations may cover topics such as analogue and digital circuit design, digital communication, wireless technologies, and computer programming. If you’re interested in a management-based career, you may like to study electrical engineering alongside management topics. 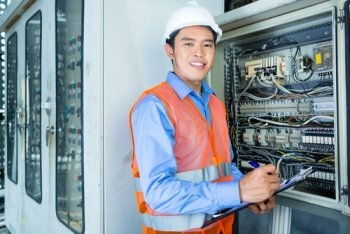 Dedicated engineering management programs offer the chance to study the techniques of industrial management within the context of electrical engineering, including operations and supply chain management. One of the major specializations for electrical engineers – and among the most important issues for modern society – is power generation and distribution. Specializations in this field should prepare students for work across a range of stages in the power system, from designing energy generation and conversion facilities, through to managing the supply of energy to individual users and devices. Students may choose to further specialize in a particular type of energy source, such as wind or solar power. Here, there may be opportunities to study the applications of electrical engineering in a broad range of technologies and media, including digital and satellite broadcasting, fiber-optic communications, and wired and wireless networks. Students interested in this specialization may go on to work in TV and radio broadcasting, mobile or terrestrial telephone communication, internet services – or, of course, the next new development in what is a constantly developing field. Here, topics may include artificial intelligence, computer architecture, security and cryptography, network communications, circuit design and digital signal processing. This could lead to electrical engineering careers in software, chip or system design, but also a much broader range of roles – from CCTV surveillance to automated systems for heavy industry. This specialization will give you an overview of the design, control, construction and use of robots in varied environments and tasks, as well as giving you practical experience in robot programming, dealing with any design or control issues that may arise with robotic systems. If you decide not to pursue traditional electrical engineering careers, there are plenty of alternative options. Students with electrical engineering degrees are also well sought-after outside of the engineering sector. Skills in IT, mathematics and problem-solving are needed by many employers in areas such as IT, finance and management. For example, a career as an IT consultant might suit you. As a graduate of electrical engineering, your expertise in IT would be welcomed in a various organizations. IT consultants work in partnership with clients, guiding them on how to use information technology in order to meet their business objectives or overcome problems. Having a good degree, prior work experience and a sincere interest in IT and consulting will increase your chances of finding work in this role. This is another career which could suit electrical engineering graduates. As an aeronautical engineer you’ll apply scientific, technological and mathematical principles to research, design, develop, maintain and test the performance of civil and military aircraft, including weapons, satellites and even space vehicles. You’ll need to be able to resolve any issues that arise during the design, development and testing process, including investigating any aircraft accidents and project management.